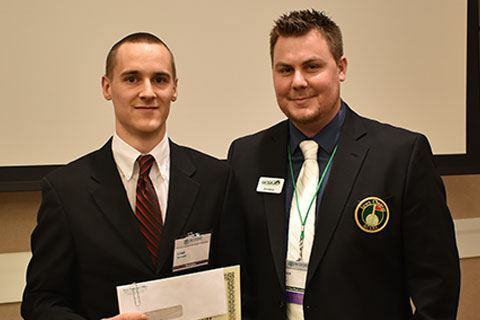 The Iowa Golf Course Superintendents Association believes in investing in the future of the profession - by administering a number of different scholarships for students pursuing careers in the golf course and turfgrass industry, as well as, children and grandchildren of current Iowa GCSA members. Download the scholarship application and supplemental documents by following the links on the right. 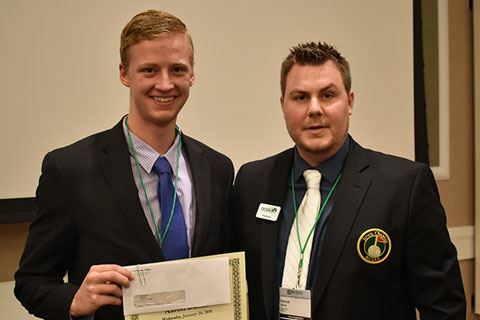 Read about the history and previous recipients of our scholarships below. The Standard Golf Company is located in Cedar Falls, Iowa, and was founded in 1910 by Walter Voorhees. Walter Voorhees named his son, Robert, as President of the Standard Golf Company after his retirement in 1956. Robert M. Voorhees passed away on October 1, 1983. The company is currently owned by Robert’s son, Peter E. Voorhees, making him the third generation of Voorhees to actively manage the company. 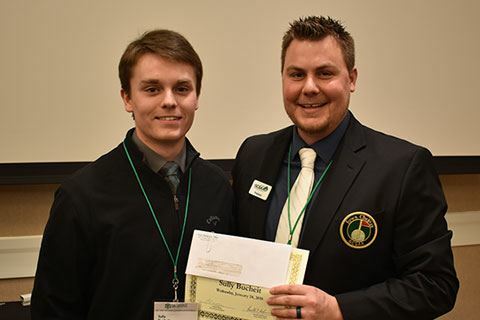 The Iowa GCSA awards one scholarship annually to a student who has one or more parents or grandparents as an active class A, B, C, A-Retired, B-Retired, or AA member of Iowa GCSA. The student must be enrolled or accepted to enroll in a university, college, junior college or technical school for the next academic year (verification required). The student must demonstrate a broad base of interests including involvement in volunteer activities and outside employment. Kevin Reiter was born on May 28, 1974, in Charles City, Iowa. He graduated from the Rudd-Rockford-Marble Rock school with the class of 1992 and went on to Hawkeye Community College to study turf management. He was the golf course superintendent at Sunny Brae Golf Course in Osage and then at Rockford Golf and Country Club. Kevin then became the second assistant at Elmcrest Country Club. In October of 1998, he moved to Des Moines and began working for the Des Moines Golf and Country Club as the first assistant superintendent of the North Course. One of Kevin's highlights of his career was working to prepare the course for the 1999 U.S. Senior Open. Kevin loved the game of golf and enjoyed every minute working on the course. Tragically, Kevindied on Wednesday, June 5, 2002, in Des Moines from injuries suffered in a motorcycle accident.